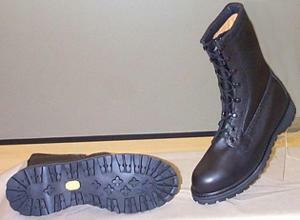 In 1988, the U.S. Army began a program to develop a new combat boot for dismounted soldiers and marines operating in cold and wet environments where the mean monthly temperature ranges between 14°F and 68°F (-10° and +20° C). The new Intermediate Cold/Wet (ICW) Boot was designed to fill the protective void between the uninsulated U.S. Army Standard Combat Boot and the highly-insulated Extreme Cold Weather Vapor Barrier Boot. 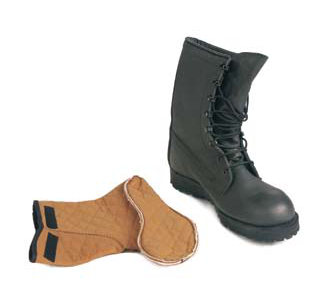 The boots are made of leather, Texorist material and waterproofed five-layer laminated quilted package material which consists of microporous polytetrafluoroethylene film, nylon tricot knit cloth and three-layer quilted package which consists of nylon and Thinsulate B-200 or Thermolite 200 TFI. The boots have grain-out leather upper, plain toe vamp, backstay, gusset tongue, box toe, waterproof bootie lining, a neoprene midsole and a full length rubber base outsole.